Some dogs, like some people, are tough on gear. Soft, high-tech fabrics are no match for their penchant for running against speargrass and rubbing on scratchy stuff. The Arma-Doggo™ (little armored D-fa) takes us back to basics with a durable outer nylon shell and fleece inner layer. It’s the most hard-wearing D-fa-design yet. 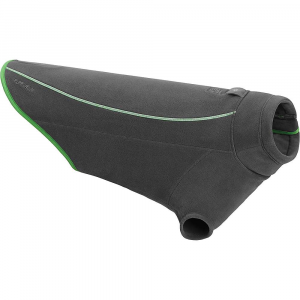 Armadillos have poor vision and no protection under their tummies, so we’ve improved on nature in the Arma-Doggo™ by including Schoeller® Dynatec fabric in the jacket to improve visibility, and extended the outer shell of the jacket under the belly for protection from the elements. 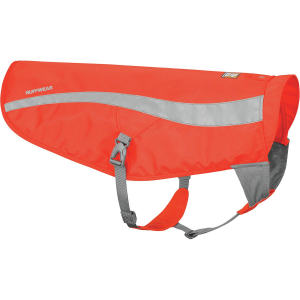 For dogs exercising in cool or wet conditions who are tough on gear and prefer something a little tougher to match. 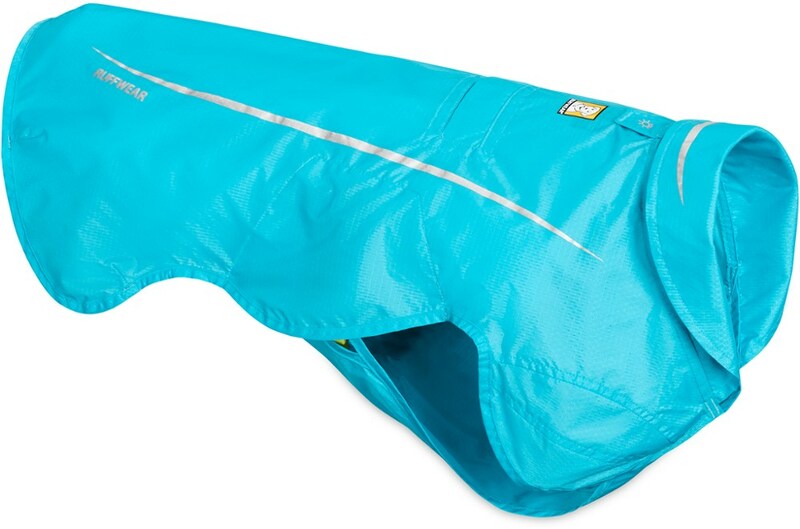 The D-Fa Arma-Doggo Super-Tough Activity dog jacket is bred for durability, visibility and comfort. 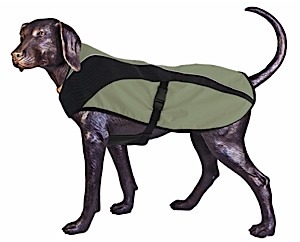 It's perfect for dogs who live and recreate in cool, wet climates and rugged terrain. Wind- and water-resistant Schoeller(R) Dynatec and Cordura(TM) fabrics on the outer jacket offer abrasion-resistant protection and reflective visibility in low light. 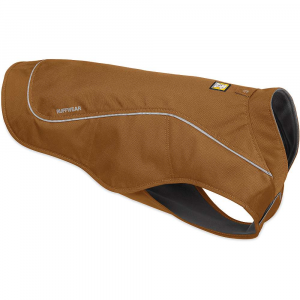 Soft fleece lining provides your dog with comfort and insulating warmth. 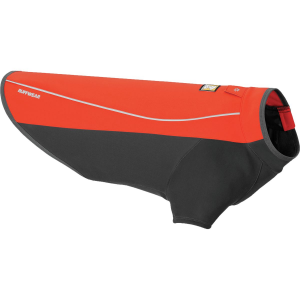 Cut-away shoulder panels allow freedom of movement for the front legs. 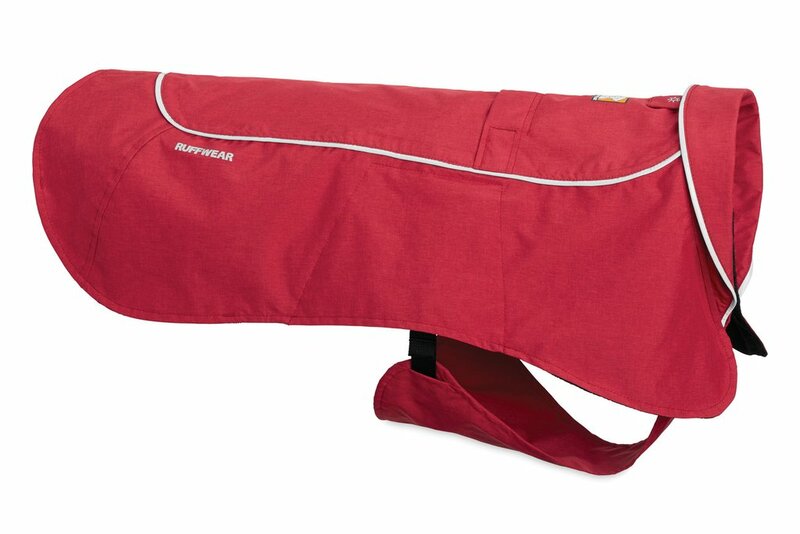 The D-Fa Arma-Doggo Super-Tough Activity dog jacket features easy on/off cam buckles that eliminate sleeves, zippers, rip-and-stick and other difficult fasteners. The D-Fa Arma-Doggo is not available from the stores we monitor. It was last seen January 9, 2013	at REI.